It looked like California, it smelt like California. The liquidity of the ocean matched by the fluidity of the people. 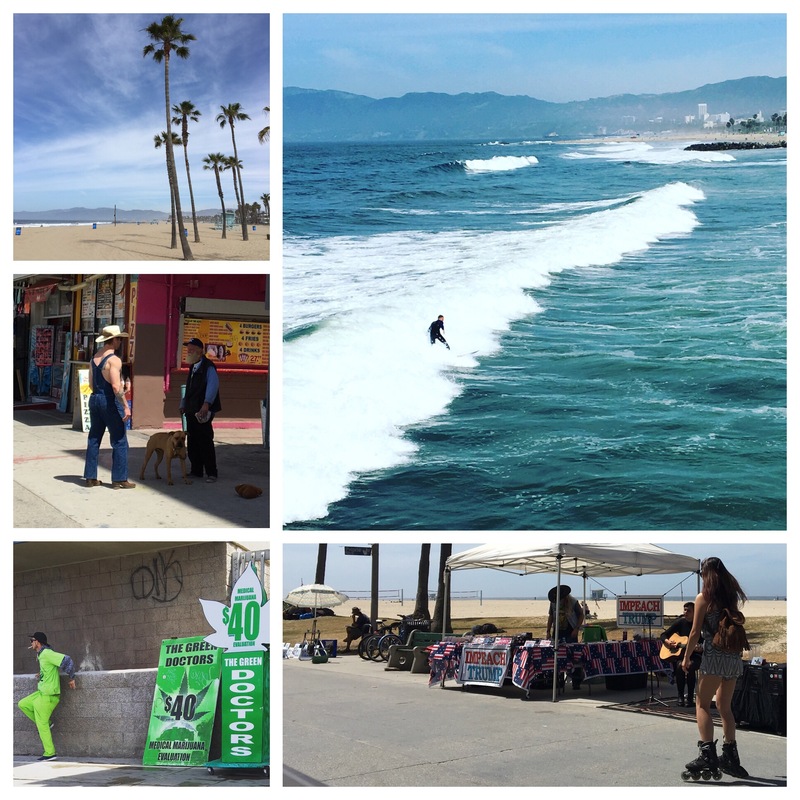 Venice Beach in Los Angeles could be the ultimate location for people-watching. It’s all here. There’s practically no one on the beach itself but all forms of life are on display on the Boardwalk– the steroid junkies of Muscle Beach, sprawling hippy encampments, jumbled hobo settlements- one replete with a grand piano, fortune tellers- some looking decidedly down on their own fortunes. Consult a satanist (for $1) or have a check up from the Green Doctor ($40 – inclusive of medication? ), impeach a president, walk the dog from your skateboard or let the dog walk you, dragging your board. It was fascinating. I saw it all. It looked like California, it smelt like California. But I tired of being apparently the only normal person, of continually saying no- to the dude who wanted to Snapchat, or a would-be muso who thrust a CD into my hand offering to autograph it, or to crystalists, herbalists, henna tattooists, body piercers. Here you can satisfy your Wanderlust or any other desire. See also Santa Monica Beach. More travel stories from DrDinOz. Pingback: Wanderlust: Venus | What's (in) the picture? The Daily Post weekly photo challenge asked for 2017 favourites. This is one of mine. I went there last year. I loved it. So Amazing! Pingback: Liquid – White Swan | What's (in) the Picture?